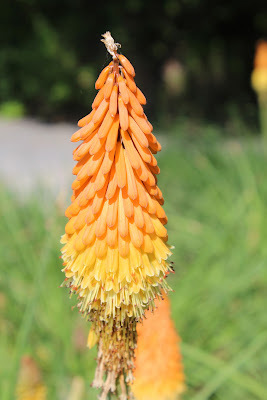 Today's flower photos are of some of the tall, long flowers in my garden. 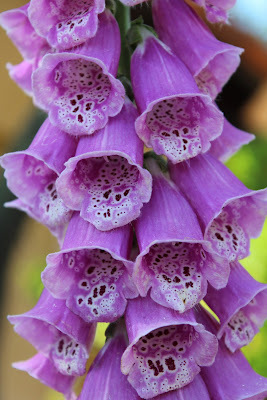 I love the foxgloves as it's so good to see all the bees up inside the individual flowers. And they grow so tall. 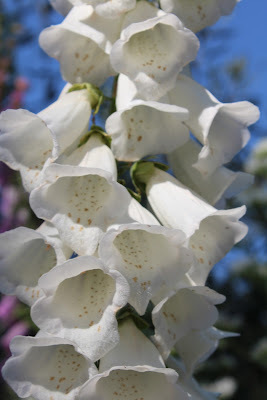 They've spread quite a bit in our garden. 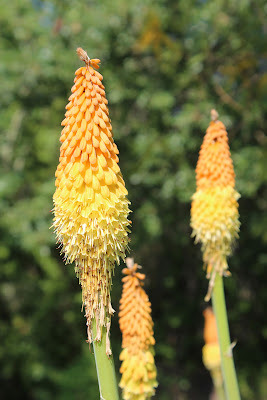 The "red" hot pokers (in this case, orange) bring back lots of childhood memories. I used to hate them then and found them quite scary. I used to "accidentally" hit them with my tennis racket and break them! I still don't really care for them much, but they are in the garden, growing nicely, so I guess as I don't have a tennis racket anymore, they are safe. Did you know their botanical name is Kniphofia? 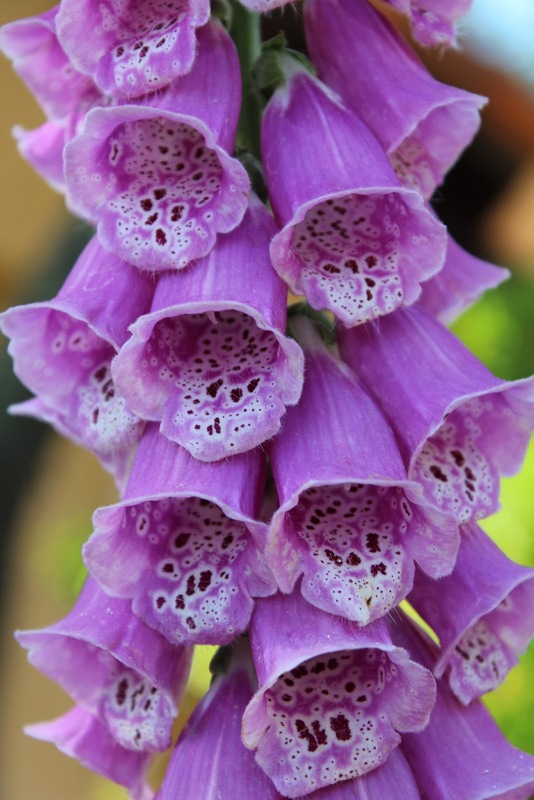 Hope you took time to look at the flowers this week. What did you like?